I have been waiting to review this particular product for the longest time. I have been using this cream for over about a good 8 months now and I have repurchased twice! And here's some proof for that! 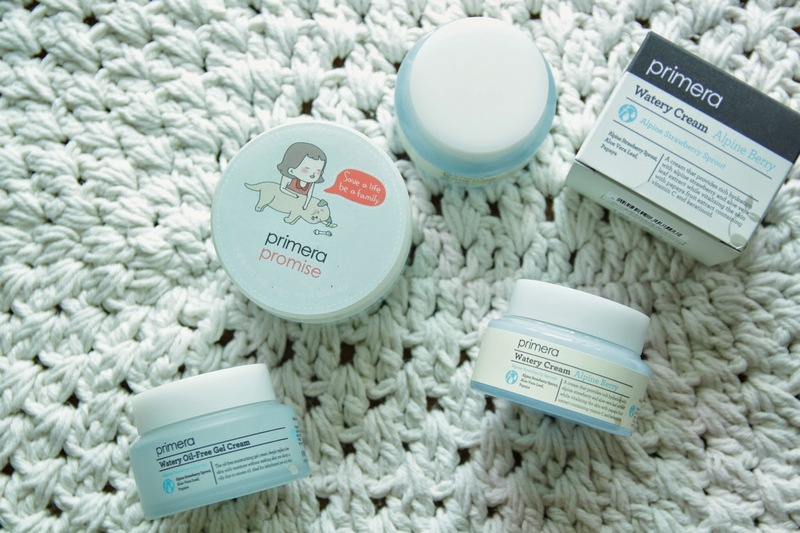 Primera is one of the many brands of Amore Pacific. The brand goes for natural, herbal ingredients and its flagship store in Myeongdong looks like an old roman lab and it relaxes you right away. 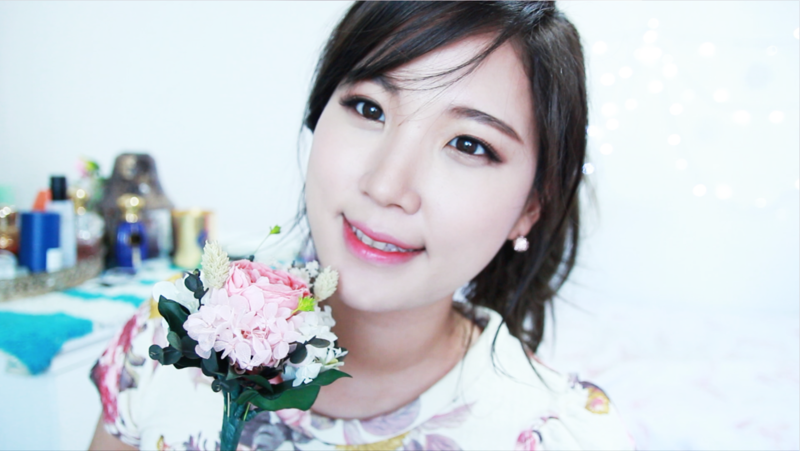 (haha) You can take a sneak peak at the store in my video, A Day In Korea. :) The store reminds me of Sabon or Aesop stores. 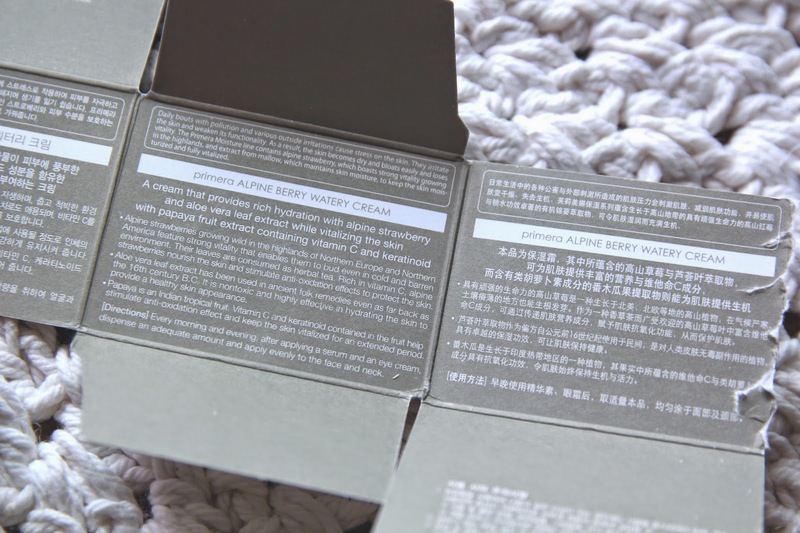 Primera Alpine Berry Watery Cream is one of their most beloved products. You can find descriptions in Korean, English, and Chinese inside the packaging. To begin, I would highly, highly, and HIGHLY RECOMMEND this product to everyone. The key ingredients for this cream are alpine strawberry sprout, aloe vera leaf and papaya extract which are purposedly used for soothing and moisuturising your skin. And this jar claims to be, "A cream which provides rich hydration with alpline strawberry and aloe vera leaf extracts while revitalising the skin with papaya fruit extract containing vitamin C and keratinoid." And HELL YES! This is a miracle in a jar! Oily combination, acne prone, VERY sensitive. My skin gets really oily in warmer seasons. In winter my skin is more towards normal combination type. And I have been using this cream every morning and evening. Very simple. 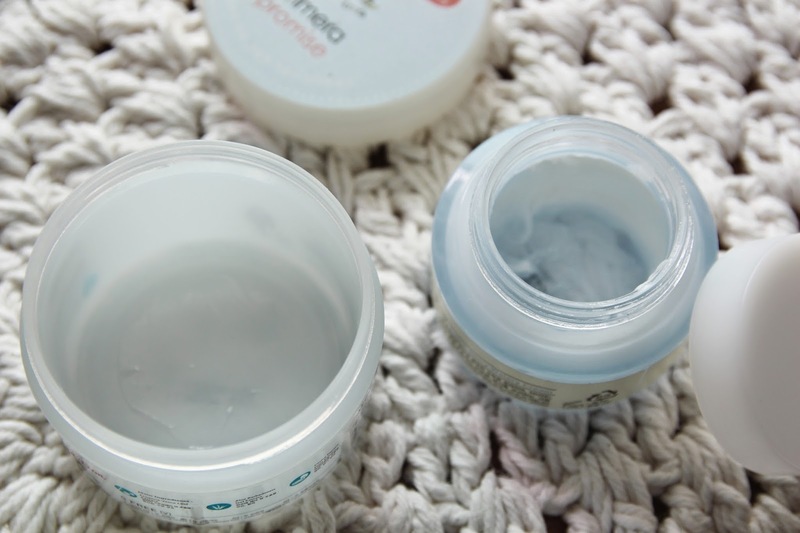 The product is stored in a blue glass and the lid is made out of plastic. Primera Alpine Berry Watery Cream's application. It's not 'watery' as the name is. It's sort of gel cream like. I would say the thickness is right between Laneige Waterbank Gel Cream and Kiehl's Ultra Facial Cream. It easily spreads to your skin and it just sinks in smoothly however it doesn't completely absorbs into your skin. It is rather light-weight but it won't disappoint you with hydration. Very herbal! I personally love the scent but it quickly fades away as you apply to your skin. You'll feel your skin is quenched with this cream. However, for the first use I wasn't impressed by its hydration. But the more I use it, the more I'm pleased about this cream. It slowly moisturizes inside your skin as more you use it. 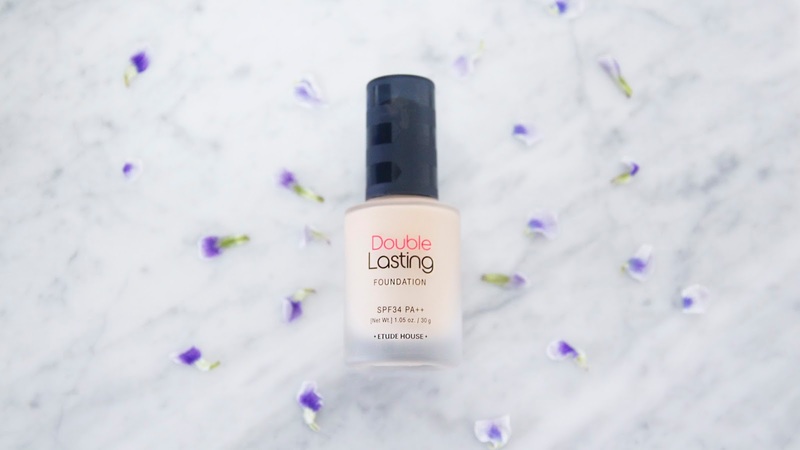 It doesn't leave that oily, moisturised finish but it's smart enough to lock the moisture in your skin. Your skin will thank you in the following morning. I won't really recommend this to extremely dry skins as this isn't an oil-based cream. My skin reacts to any new skin care item literally every time I try new products. But this hasn't irritated my skin in any way! Actually it improved my skin by clearing up my pimples. My skin feels so relaxed and soothed after using this for awhile. Absolutely! As you can see in the picture above, I have already finished two jars. 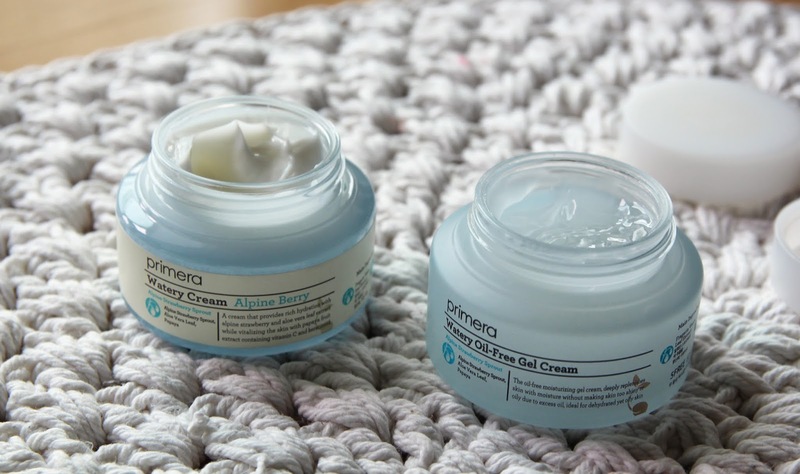 The bigger jar is actually a limited edition which contains twice of the original cream's amount, 100ml. And I will be purchasing the bigger jar this upcoming fall! 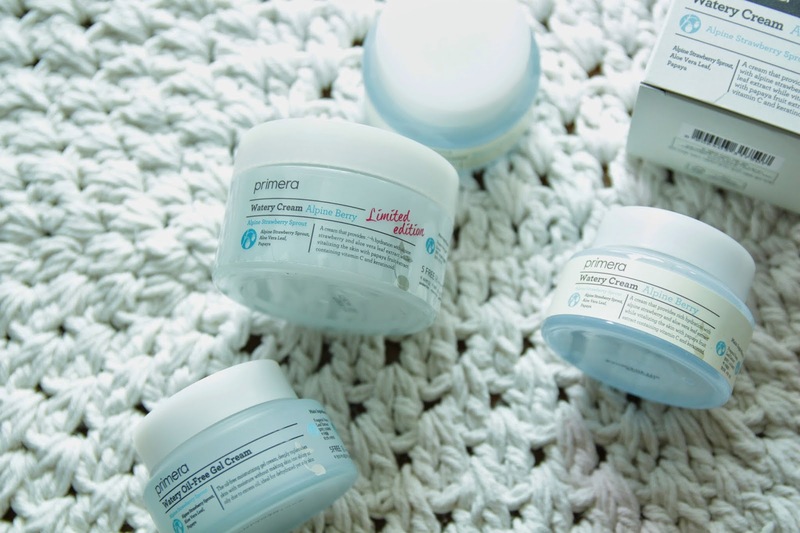 Primera Watery Oil-free Cream's application. I have tried both of their renown WATERY CREAMS. 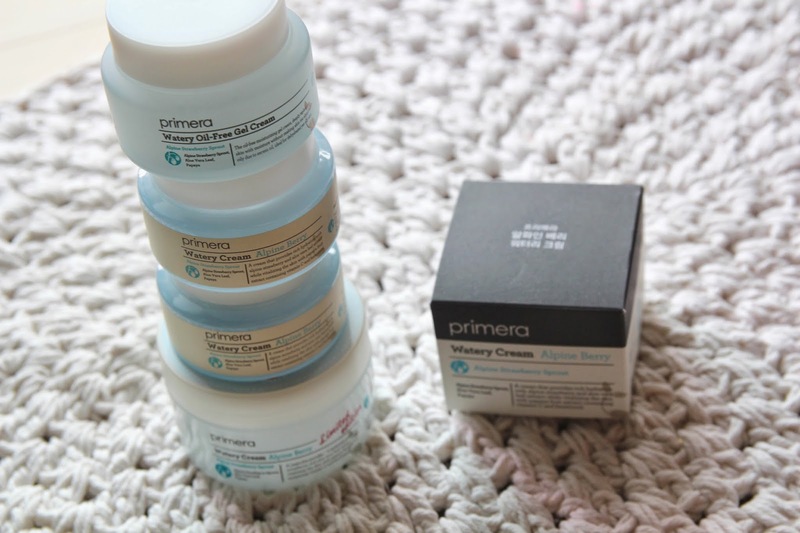 Primera Alpine Berry Watery Cream and their new Watery Oil-free Cream. This Oil-free Cream is catered for extremely oilier but with really dehydrated skin. Overall, I 100% recommend this mild, moisturising cream to all of you! Not only this has made my skin way better, but also it has became my holy grail cream! Ooh! This sounds like something that I would be interested in trying. I have extremely oily skin and I can never find anything to work with my skin! I will have to look into this product!